Happy Monday Friends! I seriously cannot believe another week has begun! It seriously blows my mind that October is almost over and I feel like time is going so fast these days! With that in mind, fall is now in session and there are so many cute and fun things out right now. It seriously makes me giddy. I love fall haha. 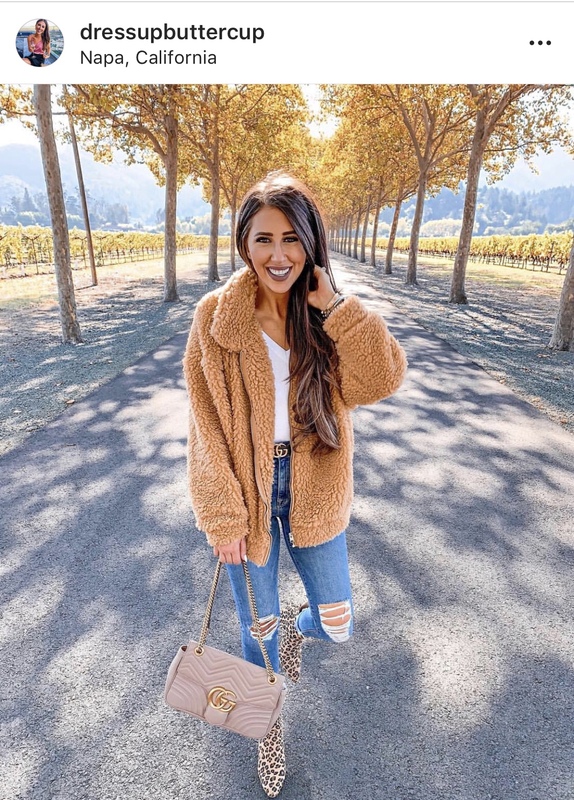 Today, I thought I would do something a little different and provide you with FIVE of my favoriteeeeee bloggers who are showing you EXACTLY how to do fall this season. These girls are some of my faves when it comes to inspiration, fashion, and digital mentorship. 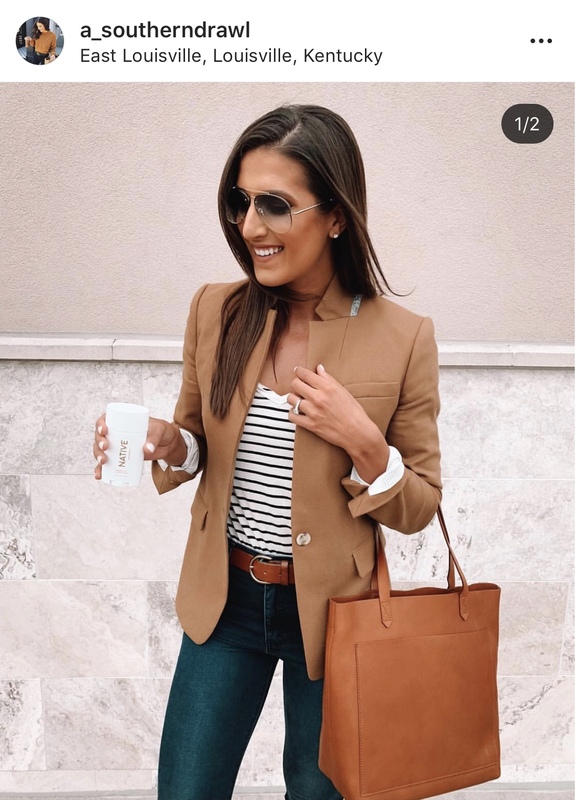 They are doing things right, and regardless if you like their fall style, I think you will absolutely fall in love with them like I have! First up, is my original inspiration for starting my blog, Caitlin Covington. 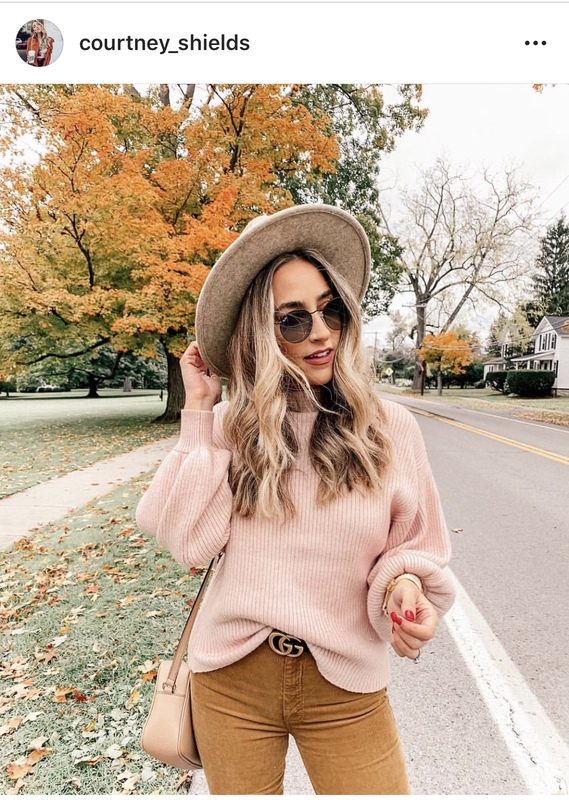 Caitlin has been blogging since she was a junior in college and her outfits are seriously to die for. She always is able to find a unique way to style things and her ideas are very simple, yet cute. I love her style, personally because she doesn’t make things complicated and everything is very affordable. If she does link something a little more expensive, she tries to link a similar option at a more affordable price. Currently, she is in Vermont with some of her friends and it is the cutest thing. She also makes amazing videos on Instagram that are SO cute. I recently got to meet her at the Nordstrom Anniversary Sale and you guys…I 100% fan-girled. I couldn’t help it haha. Next, is someone I began following last fall because I loved her fall looks so much, Courtney Shields. Courtney is probably one of the most inspiring bloggers I follow. She always has a huge smile on her face and her love for what she does and her family and friends is extremely beautiful. She posts a ton of stories on Instagram which is so nice because it allows you to really get to know her and her family (they are adorable btw). I personally love her fashion because the majority of her looks are very comfy-casual. She is a mom (her babe just turned one) and I love her effortless style. She always goes above and beyond in regards to linking items for her tribe and it has been so fun to watch her grow. Third, is actually someone I have more recently starting loving and that is, Hollie Woodward. Hollie is also a mom (her girls are adorable) and what has drawn me to her has been her ability to exude beauty. She is already a gorgeous girl, but I watch her stories and interactions with other influencers like herself, and you can just tell that she is a genuinely good person that is just beautiful inside and out. She always posts stories and pictures with her friends and you can tell she really has a love for those she cares about. I personally enjoy her style because it is typically very simple, yet cute outfits. They also seem to be very easy to translate across many body types which I think is wonderful! Kathleen is probably one of my absolute favorites right now. She seriously cracks me up every time I watch her stories and I am obsessed with her pets. I recently discovered Kathleen after hearing her story on Julie Solomon’s podcast, The Influence Podcast. After that, her posts are some of the first I had to when I open up my app. Kathleen’s take on fashion is a little bit more high-end and she mixes inexpensive items with higher end products. She basically educates you on what is worth investing in and what isn’t. I can guarantee this girl will make you giggle and offer all of the fashion inspo! Next up is Dede Raad. This girl is SO freaking adorable! Her and her best friend Emily make me so happy. They actually met through blogging, which I love and hope one day I can meet all of these beautiful girls. I like Dede’s fall style for many reasons though. One, I think she offers affordable options all around. Most of the products are good quality and right within budget. I also think she has a natural ability in styling that allows women to feel confident and comfortable. I think there is something special to be said for outfits that can make you feel like your best self and I love that I can picture myself in every single one of her looks. Okay, last but definitely not least is my girl Grace. Grace is another one of my faves. Her style is very classic and effortless to me. I love the way she mixes pieces in unique ways that are thoughtful and simple. She creates amazing flat lays that have multiple look options displayed which I think is really fun and provides excellent variation for her followers. Personally, I am truly drawn to her fitness looks more than anything though. She is a girl after my own heart with each and every one of her workout looks and when your day-to-day wardrobe typically consists of fitness looks, I can always rely on her to provide me with a new piece I need! Oh, and by the way, she literally just got married this weekend so you can happily go over to her feed and drool over what a beautiful bride she was. If you do head over though, don’t forget to wish her Congratulations! I hope you enjoyed this post today. I know it is a little bit different than my typical, but I figured that if you liked my personal style, you would enjoy all of these women’s as well. Plus, I already know that if I ever got to meet these girls, we would be fast friends haha. Enjoy their beautiful fall-inspired feeds and get in the cold weather spirit with each and everyone of their adorable looks. Make sure to have the card ready though, because I can guarantee you will find some must-haves.